So yesterday (Dec 5th) was a national holiday here in Holland. Not the kind of holiday that gets you free from work or an excuse to show up the next day with a hangover though. It's more a small celebration - mainly for children - where everyone exchanges presents, write cheesy poems to each other and eat loads of pepernoten. Sort of a prelude to Christmas. Well I haven't seen a gift-wrapped present at my chimney since I was a little girl, but we continue the tradition with - of course - the food. 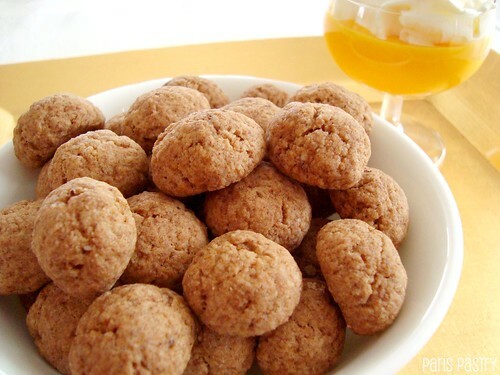 Clementines, speculaas and pepernoten. What are pepernoten you may ask. The translation for pepernoten would be pepper nuts. They're little, round, crisp cookies that are full of spices; cinnamon, white pepper, ginger and cloves just to name a few. They're absolutely my favorite thing to eat this time of year! And it's so great that I can make them myself now because I'm not much in the mood lately to go to the grocery store in this snowmageddon ... Rating: 3.5 out of 5. - Preheat the oven to 325˚F. - Put all the ingredients in a medium-sized bowl and beat with an electric mixer attached with the dough hooks until just combined, about 1 minute. Use your hands to knead the dough until everything is combined and has a dark brown color. - Shape the dough into little balls by rolling it between your hands. Put the dough balls onto a baking sheet lined with parchment paper. 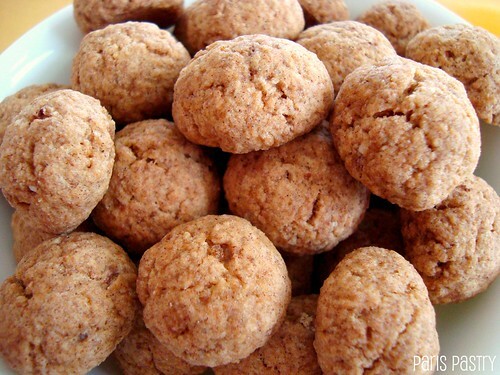 - Bake the pepernoten for 15 minutes. Let cool to room temperature. I love finding out about all the traditions from other countries. I'll need to remember this for next year, they look like a real treat. These look lovely - I wonder how long they'd keep? I made the same thing last year but covered in powdered sugar was delicious! oh these look really delicious! Mmmm! These look delicious. Our celebration was yesterday--St Nicolas--but I was at work! Delicious looking, as always! Hope you're having a wonderful holiday season! These sound like such wonderful little morsels. Happy holidays! These bring back memories!! As a kid I went to German school on Saturdays, and there was a German bakery selling tasty goods there at recess! At Christmas she would have lots of biscuits and my Mum would buy up big, these were some of my favourites, perhaps I should give this recipe a try for nostalgia's sake!